Vodafone is paying a total of 7.7 billion euros to buy Germany's Kabel Deutschland. 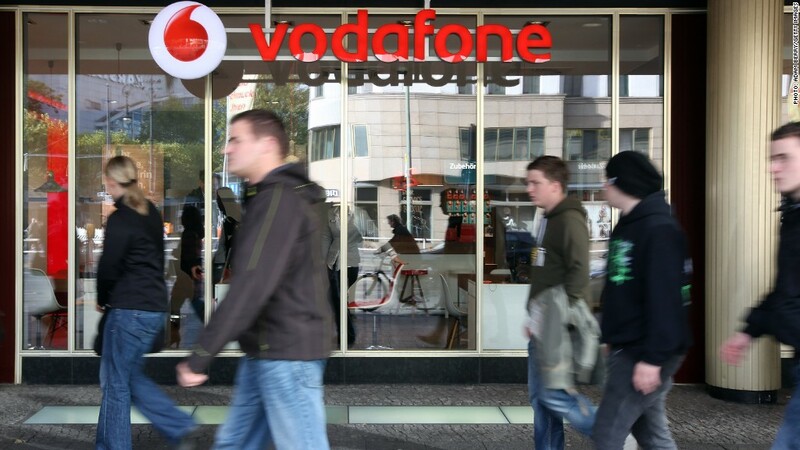 Vodafone is set to take over Germany's leading cable operator for $10.1 billion. Both Vodafone (VOD) and Kabel Deutschland issued statements saying they were happy with the all-cash deal. The U.K.-based telecom giant is offering 87 euros for each Kabel Deutschland share, for a total of 7.7 billion euros. This seems to end the short-lived battle between Liberty Global (LBTYA) and Vodafone; both companies had been pursuing Kabel Deutschland. Vodafone says the purchase will allow it to continue growing in the German market and cross-sell Kabel Deutschland TV and broadband services to its existing customers. Vodafone is one of the world's largest mobile communications companies with a market capitalization of roughly $132 billion. Kabel Deutschland, which bills itself as Germany's largest cable operator, provides services to over 8.5 million households.